If you’re a dreamer, you also need to be a doer to achieve God’s best in your life. You need to dream big dreams, but have to also put your faith into action. The Bible tells us “faith without works is dead.” Whatever part of life needs an extra input of God’s blessings, continue to sow seeds of encouragement, hope, faithfulness and live a disciplined life. When you are faithful in doing that, God will reward your diligence and you will reap your harvest of Success. 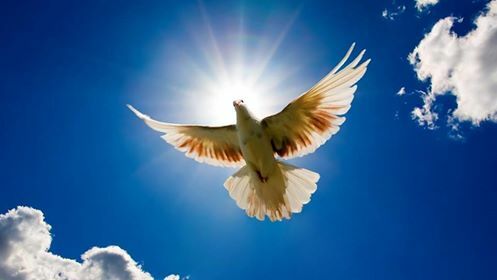 No matter what has been taken away from you, no matter what losses you’ve experienced, if you give it over to God, He will return to you more than you could ask or imagine. He’ll make things right and give you more than what was lost or stolen. When you put your hope in God, He blesses you and God wants to multiply your joy, peace, wisdom, health and finances with a double portion in every area of your life! The first step in moving forward into this fresh future is forgetting the disappointments of yesterday. It’s time to forget about those disappointments and reach out in faith to God’s abundant future. This Article is by Peter Collins – In a sales career spanning more than 53 years, Peter Collins has focused on helping and bringing out the best in others – whether it involves training or mentoring salespeople, managers, business consulting to SME’s. 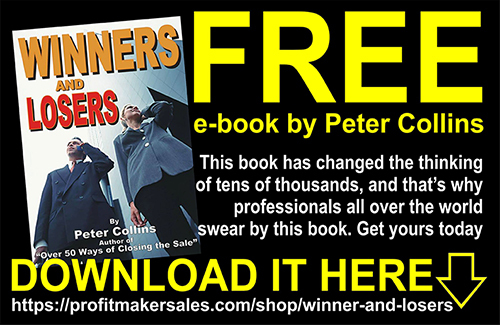 Since the 1970’s Peter has built a reputation as a Nationally and Internationally Published author, and has 68 business books to his credit, but he is mainly known for one book based on the Audio Tape series of the same name, Over 50 Ways of Closing the Sale. Peter had his first book published in 1969 and now has over 133 books in all, including Business, Marketing, Sales, Free Publicity, Body Language, Music and over 30 Christian books to date. Peters books have sold over 2.5 Million copies of his books over 49 years. In his personal life, Peter has been sought after as an encourager and motivator that has given of his time and talents freely despite his busy schedule. Subsequently, he has assisted churches, pastors, community and charity groups, as well as individuals through his teaching, training, development and on-going mentoring.